It’s happening this Sunday in the Old Port. Don’t miss it! 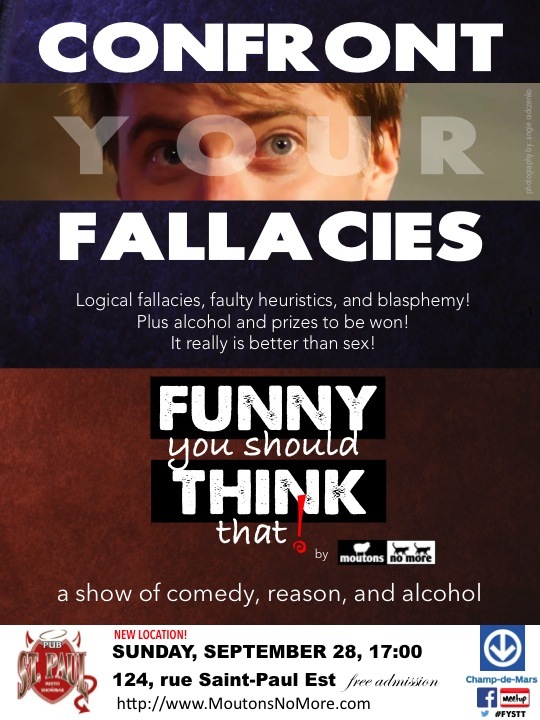 Fallacies, blasphemy, heuristics, fun, prizes, alcohol, and good food! It only happens once a month: bring your friends and unsuspecting strangers!